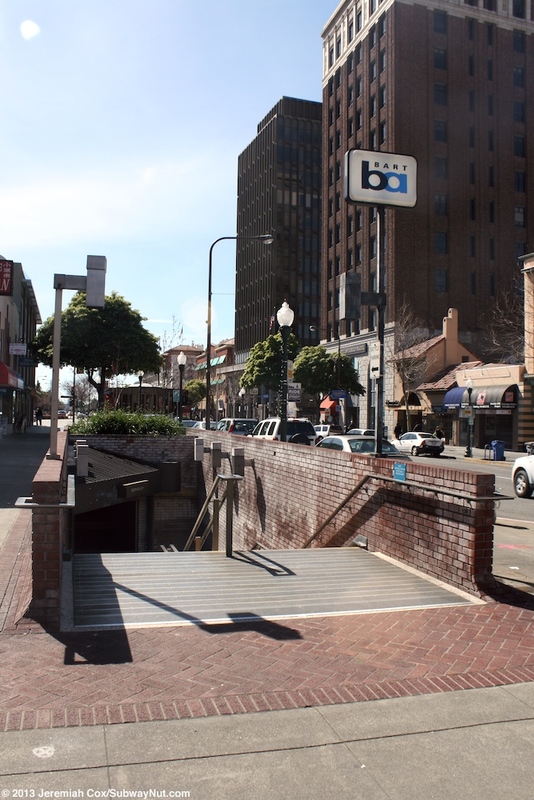 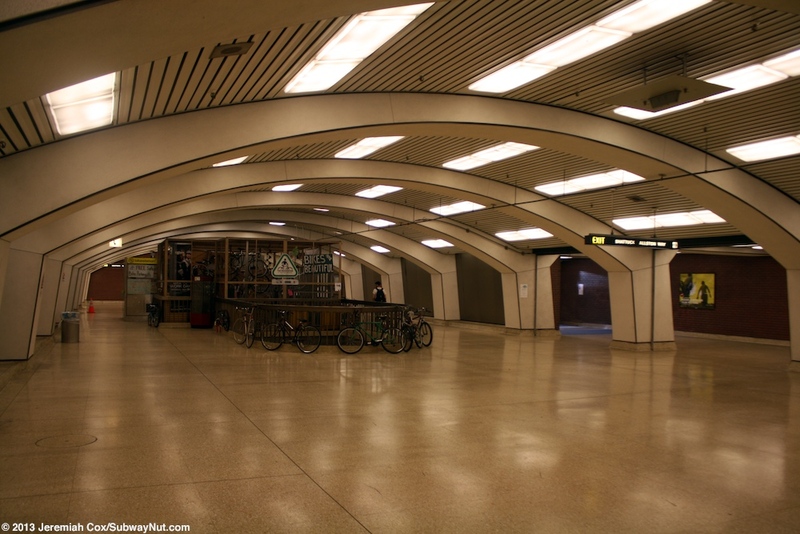 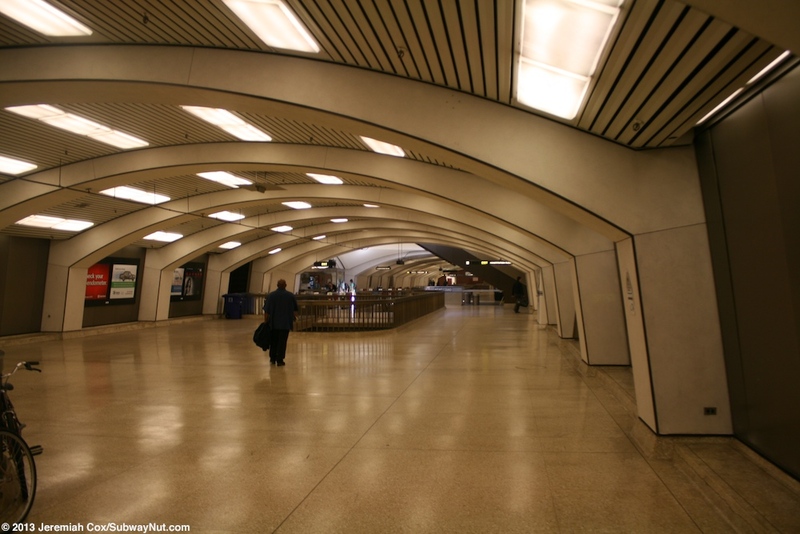 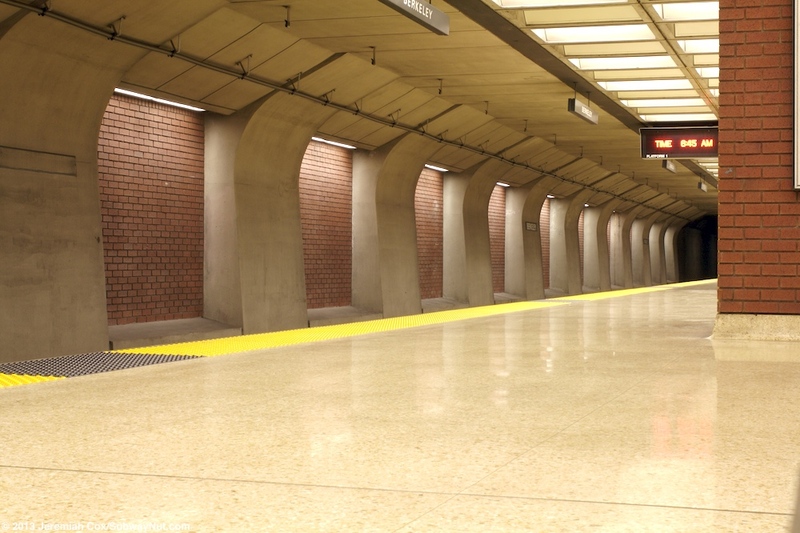 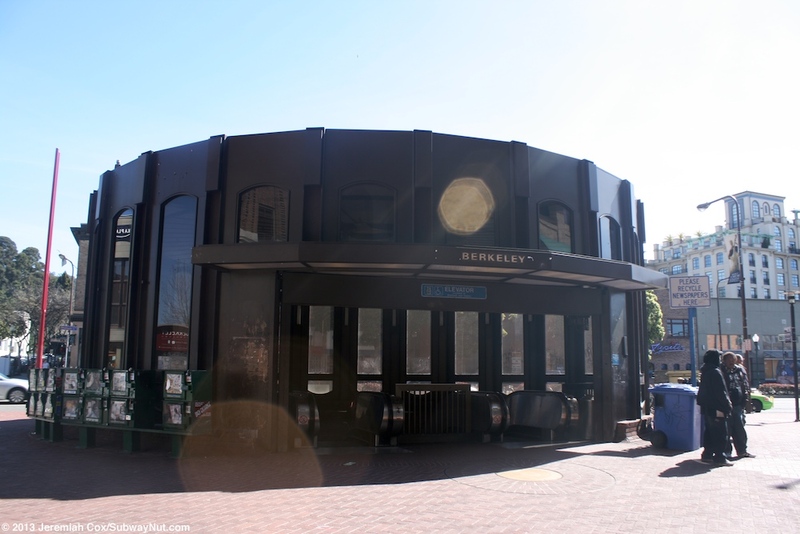 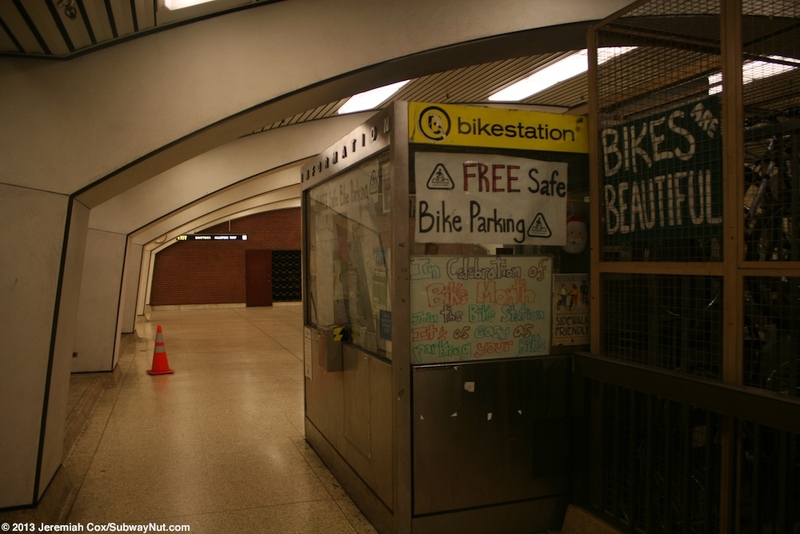 Downtown Berkeley is a BART station located underground beneath Shattuck Avenue. 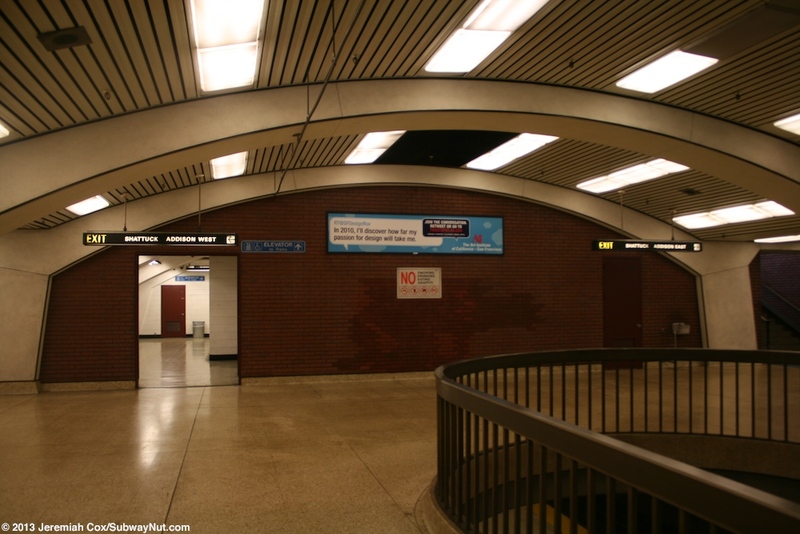 It opened on January 29, 1973 along with the rest of the line to Richmond. 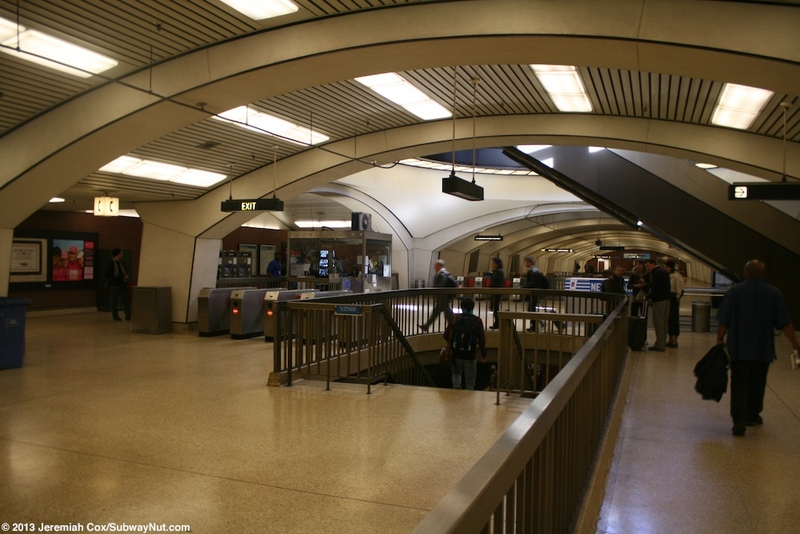 The station has a single island platform with a full length mezzanine above it. 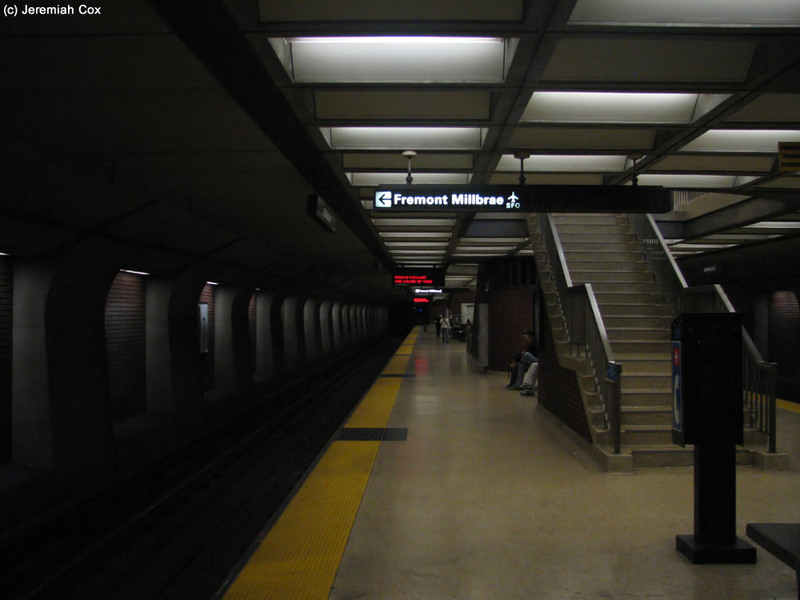 The platform's color scheme is mostly bare concrete with regular segments of brown bricks along the track walls providing indirect lighting. 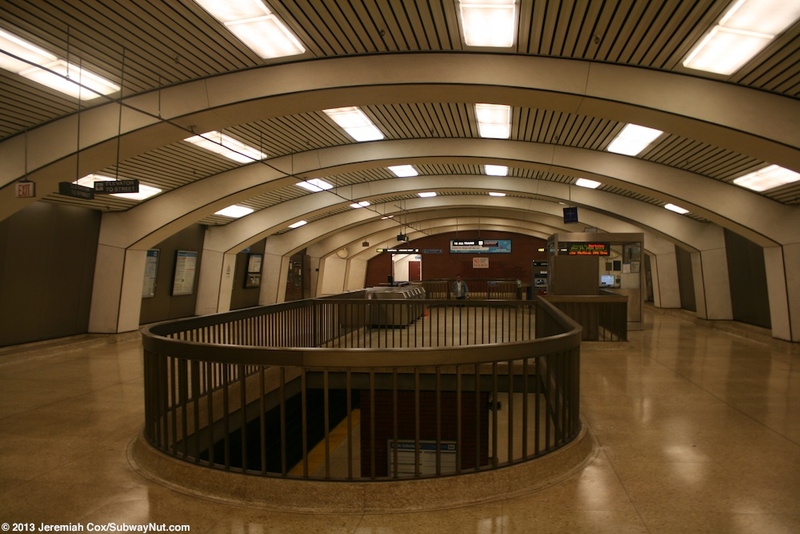 The full-length mezzanine has an arched ceiling, with thick white arches holding up the ceiling. 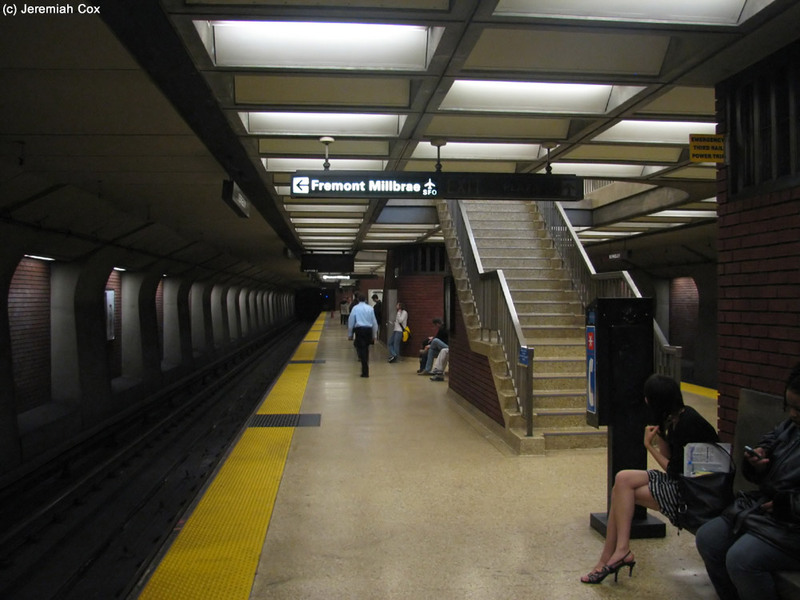 The configuration is mostly outside of fare control (and a passenger can walk continuously between all of the station exits outside of fare control) with access down to the platform provided at three distinctive areas with their own sets of fare gates, two are towards the middle of the station and one is at its northern end. 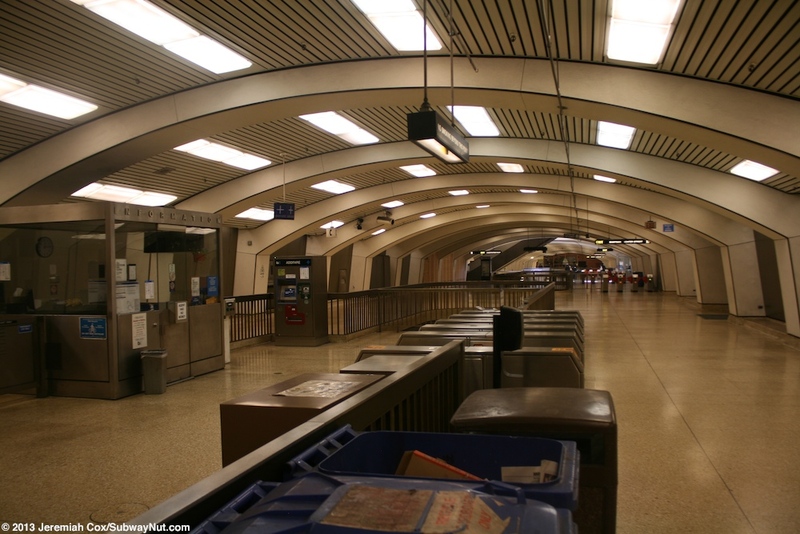 Each of these have staircases, escalators and the northern fare control area includes the platform elevator. 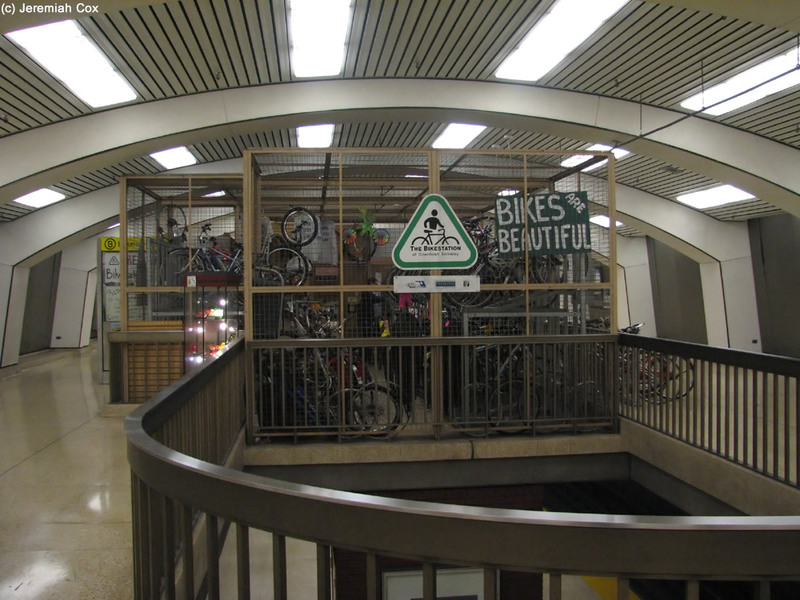 The mezzanine also includes a bike station (enclosed, secure bike parking) towards its southern end. 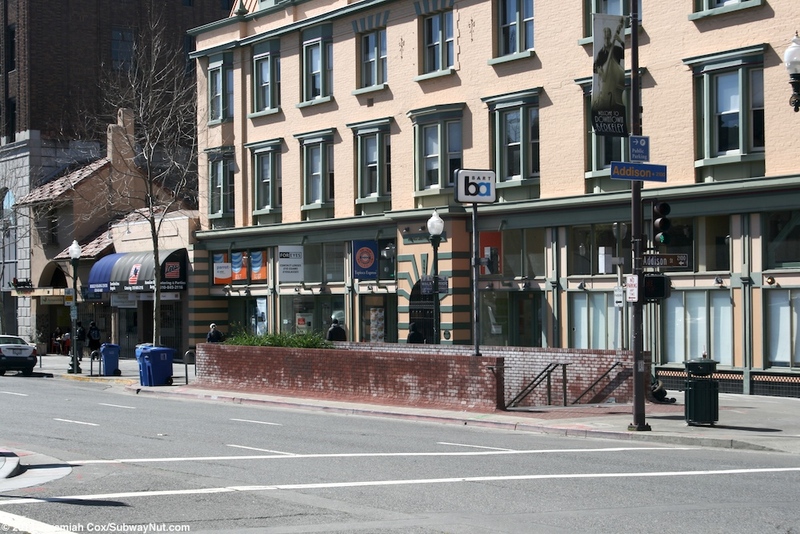 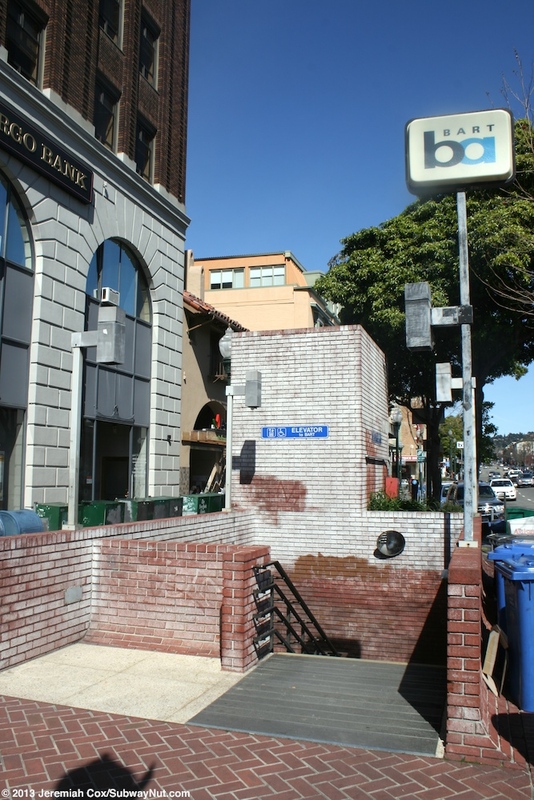 For exits staring from north to south: At the northern end of the station are streetstairs (with brick sides) at the SE and SW corners of Shattuck Avenue and Addison Street. 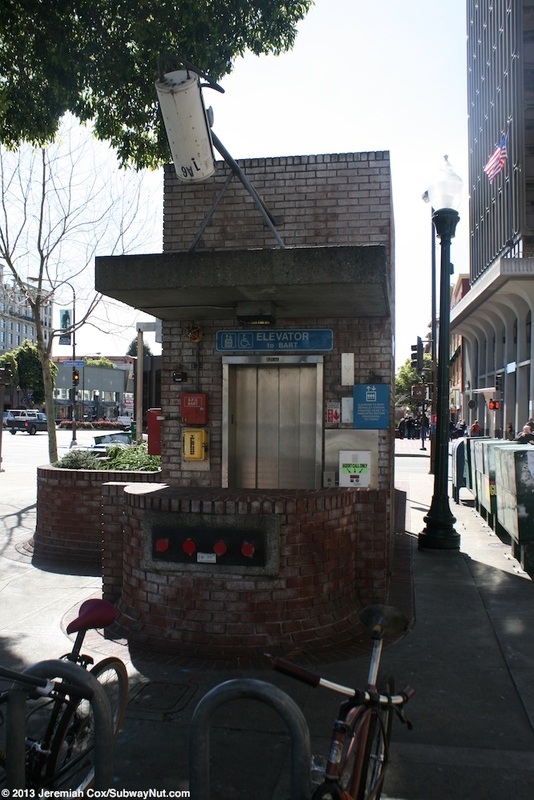 Continuing a block south is the street elevator and a small staircase (also with brick sides) at the NW corner of Shattuck Avenue and Center Street. 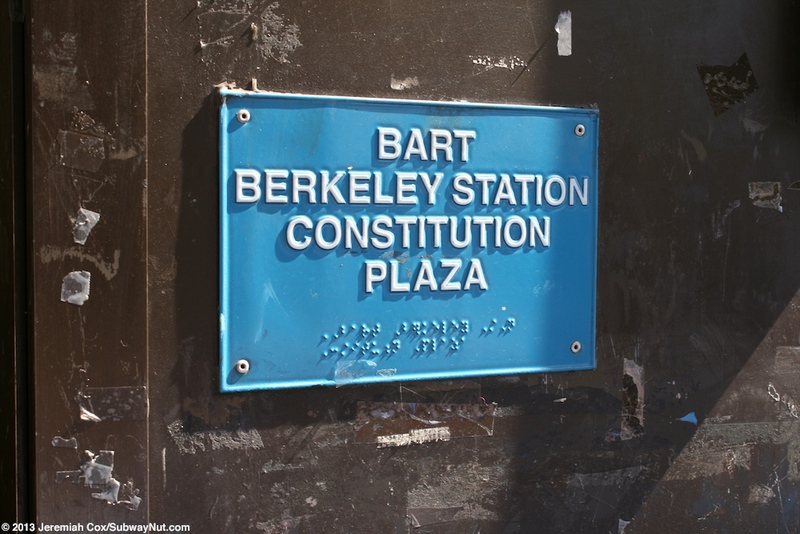 At the SW corner signed as Constitution Plaza (as an ADA braille sign says) is the main grand entrance. 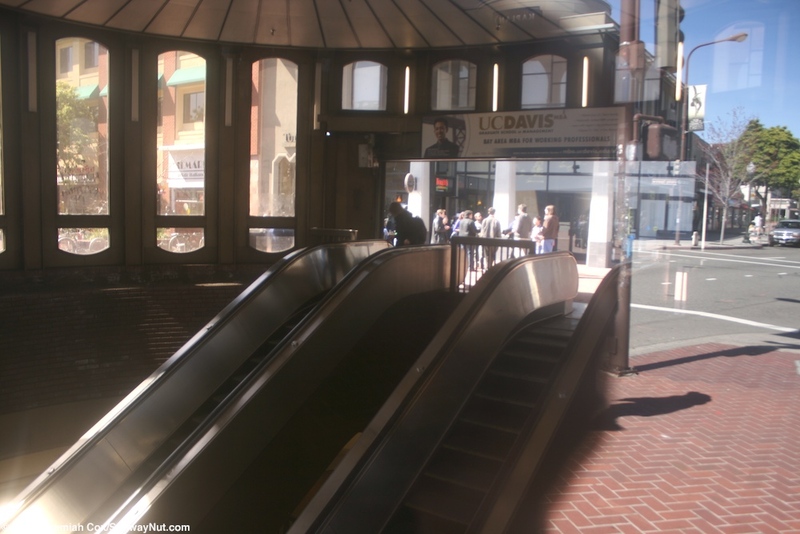 It consists of a brown glass walled pavilion that encloses two escalators and allows a tiny bit of natural light to flood down to the concourse below. 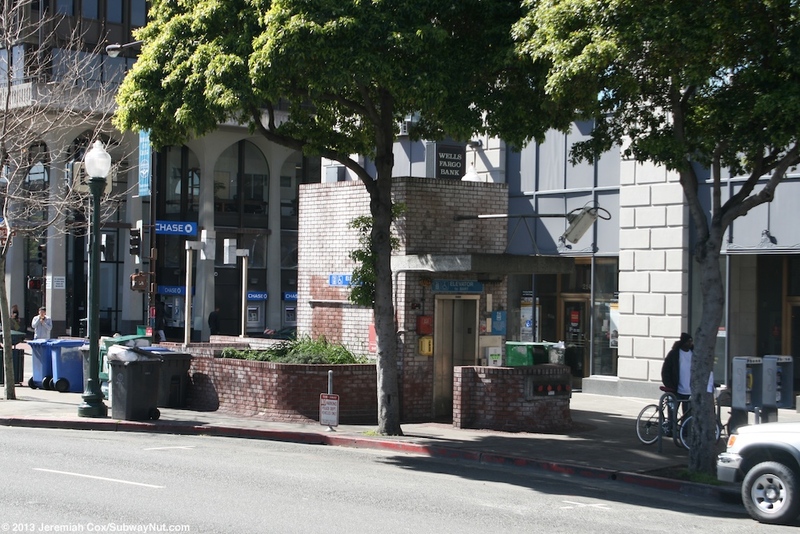 A final block south are two more street stairs at the NE and NW corners of Shattuck Avenue and Aliston Way. 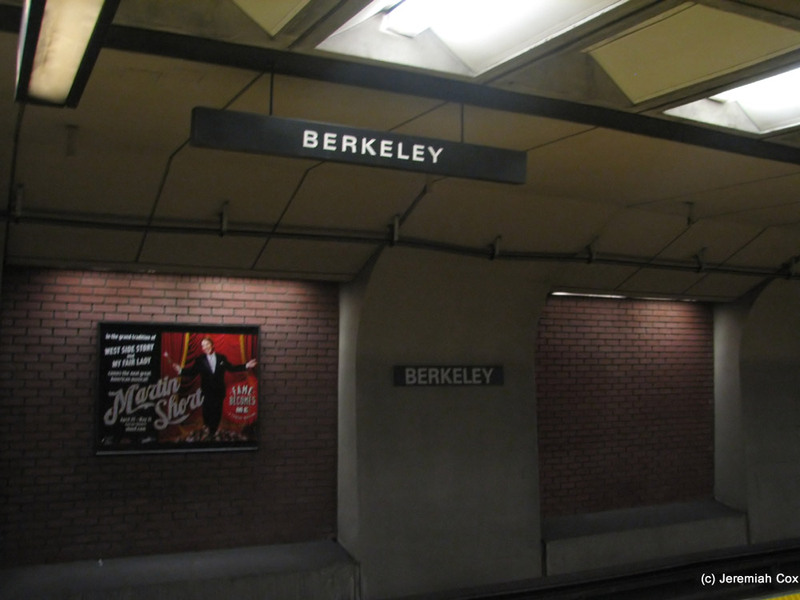 A wall sign, and a hanging sign at Downtown Berkeley (all the station signs say just Berkeley but the offical BART map uses Downtown Berkeley, don't know which is correct).